May 8, 2014 | David S. Maldow, Esq. 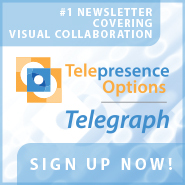 Despite the fact that the productivity and quality of life benefits of visual communications are now well established, we still have an under-served marketplace. In other words, there are still a lot of people out there that should be using video, and for one reason or another haven't made the plunge. One particular gap is the small to medium business workforce. The problem is related to the "Goldilocks Syndrome" covered here recently. Enterprise is covered on the high end by business class VC environments, but those can be too expensive, and require too much support, for SMBs to manage. Meanwhile, Google Hangouts and Skype cover consumers on the low end, but those types of solutions, in and of themselves, do not fully meet the needs of a business workforce. As enterprise video solutions come down in price, and consumer solutions add functionality, the gap will continue to shrink. However, what I find most exciting are newer solutions, like the telyHD Pro from Tely Labs, which are hitting SMB directly. Please see our recent coverage of the Tely Labs partnership with Blue Jeans Networks, for some basic background about the company and product. Creating a videoconferencing environment from scratch can seem daunting, but in its simplest terms, it breaks down to the physical hardware needed in the room, and the service or software required to make it work. I believe Tely's success, at least partially, is due to the fact that it addresses both of these questions in a way small businesses can understand, afford, and manage. Let's address them in turn. 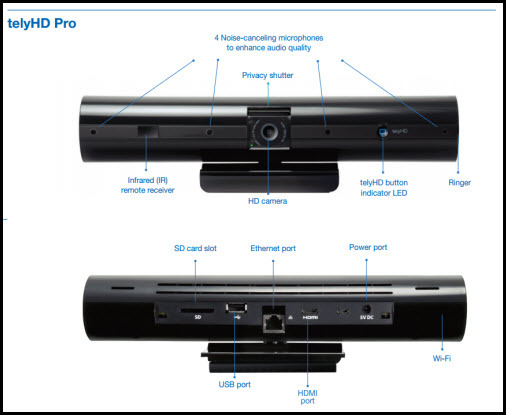 The Physical Hardware Issue: Webcams are designed to capture a single face sitting in front of a desktop or laptop. Conference rooms across the country are "making do" with webcam solutions and suffering from poor experiences as a result. On the other hand, traditional business class video cameras can cost thousands of dollars. The telyHD Pro evolved from solutions originally designed for "living room" Skype calls, so it inherently supports a wider view well suited for small to medium conference rooms. It also sits nicely on top of the monitor, webcam-style, making installation a breeze compared to traditional business class cameras which generally require some counter space and prior planning. SIP Support: The telyHD Pro can speak the SIP standard, allowing it to call into traditional video environments (they even have Polycom certification). This makes it an easy way for larger enterprises to expand an existing video infrastructure to support additional rooms, and could be used for B2B communications with partners using traditional video. Skype Support: The massive Skype userbase cannot be ignored and opens up the potential for B2C communications. One last key benefit is the ability to use it as a local projector for in-room meetings. There is a growing trend to turn the typical meeting, where people report on their work, to actual collaborative sessions, where people help each other get the work done. The meeting room is now a working collaboration space and you need tools to help your team share ideas. The telyHD Pro can be used similarly to Apple AirPlay, allowing your team to share their materials up on the big screen. Another way of looking at it, in addition to VC, the TelyHD Pro can be used in lieu of the typical meeting room projector to achieve a similar collaboration dynamic at a potentially lower cost. While Tely is not the only vendor looking to serve the SMB market, I would be hard pressed to name many that can answer so many of the key questions at this price point. 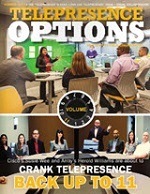 If your business is stuck in the videoconferencing gap, this may be a good way for you to get in the game. One particular gap is the small to medium business workforce. The problem is related to the \"Goldilocks Syndrome\" covered here recently. Enterprise is covered on the high end by business class VC environments, but those can be too expensive, and require too much support, for SMBs to manage. Meanwhile, Google Hangouts and Skype cover consumers on the low end, but those types of solutions, in and of themselves, do not fully meet the needs of a business workforce. The Physical Hardware Issue: Webcams are designed to capture a single face sitting in front of a desktop or laptop. Conference rooms across the country are \"making do\" with webcam solutions and suffering from poor experiences as a result. On the other hand, traditional business class video cameras can cost thousands of dollars. 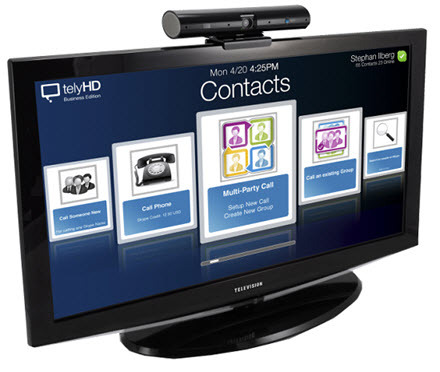 The telyHD Pro evolved from solutions originally designed for \"living room\" Skype calls, so it inherently supports a wider view well suited for small to medium conference rooms. It also sits nicely on top of the monitor, webcam-style, making installation a breeze compared to traditional business class cameras which generally require some counter space and prior planning.